Maui and Lanai. Highlights - meeting new ohana in Lanai, whale watching in the channel between Maui and Lanai, learning to surf, great eats and so much more. 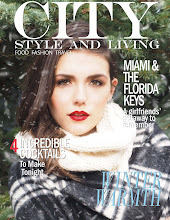 Look out for Maui and Lanai coming soon in the Summer 2010 issue of City Style and Living Magazine. A beautiful sunrise at the Ritz Carlton Kapalua. An amazing humpback whale spotted aboard the Pacific Whale Foundation boat - this is a huge mammal that came right under the boat. Another whale - a tail this time. If you were wearing black pants and a top aboard the boat, looking out with binoculars and were from the United States - these photos are for you. ENJOY and it was so nice meeting you and your husband. A bright purple lei lies on the dashboard on the way to the windy road to Hana. The Four Seasons awash with neon bougainvilla. In the distance a pagoda and the orchid conservatory on the left. Ah, Lanai, calm, quiet and oohhh so beautiful. This is a typical scene where the red clay is juxtaposed with the blue sky. A farewell meal with our new ohana - spectacular. All images copyright K&S Media.